Hello there! I'm excited to say I've joined the world of Memory Dex-ers (it's a word!). We've been swapping Memory Dex cards in our Swap Group. 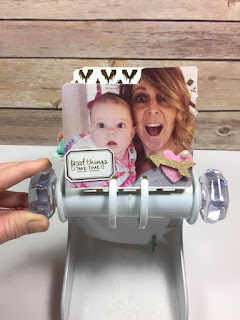 I've got lots of them to share with you, but today's post is all about using your Cricut to cut a photo into a shape. 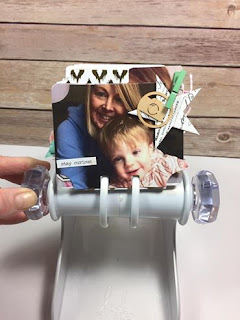 Like this cute Rolodex Shape. I printed a photo of Ace and I and added it to my Memory Dex. This can be super simple with the use of your Cricut Explore. If you have the IOS app/IOS device it's so easy to cut anything into a shape using the fun Snap Mat feature! Here's a quick video showing you how super duper fun it is! Don't have an IOS device or the app? No worries, I've got you covered! You can use the Pattern option in Design Space and create the same photo filled shapes. Here's a quick video for you! 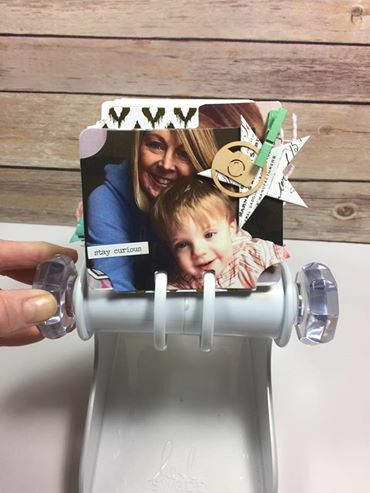 There are lots of fun ways to utilize this technique! Cricut always makes it easy!